The summer term began this week with a look at some Scottish tunes with a little bit of history behind them. The SMG whistlers looked at Caol Muile (The Straits of Mull) or The Iona Boat Song. Another Scottish Boat Song to go alongside The Skye Boat Song and The Arran Boat Song that we learned this year and also Iomramh Eadar Il’ A’s Uist (Rowing from Islay to Uist), which I also sometimes teach. Intended to assist with the steady rowing rhythm required to cross the stretches of water that link the islands, these are possibly very old tunes. The words for them have been lost but, as with The Skye Boat Song, words have been added in more recent times. The excellent archive web site Tobar an Duchais/ Kist o’ Riches has a field recording of Hugh Duncan of Islay singing a version in Gaelic that was collected in 1953. The words were composed by Rev. John MacLeod of Morvern. There are links to other versions of the song on the site from about 30,000 different field recordings in total. Another author was Sir Hugh S. Roberton, founder of The Glasgow Orpheus Choir. His words evoke the spiritual heritage of the island which has been a final resting place for many saints, leaders and royalty of Scotland. The FluteFling Improvers class began with a Scottish slip jig, The New Claret. Claret was once Scotland’s second drink after whisky at one point, with claret carts as common as milk carts in Edinburgh. While versions of this tune exist in Ireland (e.g. The Sport of the Chase), the chordal construction strongly suggests a Scottish origin. Resources for these can be found at The Flow as usual. 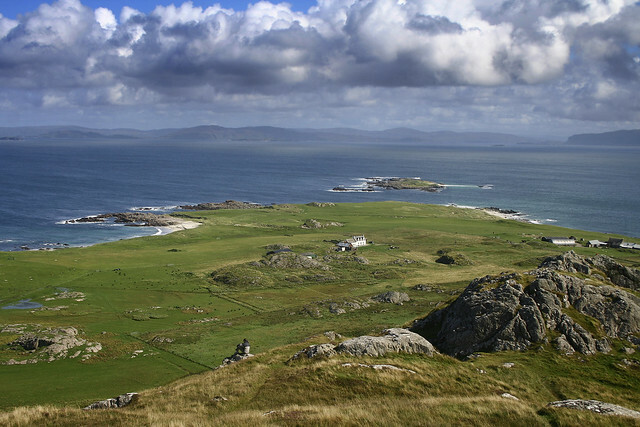 Photo of Iona by Jim Barter, some rights reserved. This entry was posted in Community, FluteFling, Links, Resources, Schools, Scots Music Group, The Flow, Uncategorized and tagged advanced, beginner, classes, community, edinburgh, flute, Gaelic, improver, MP3, portobello, Scots, Scots Music Group, slip jig. Bookmark the permalink.